Nearly a year later, footage of one man’s bold, very illegal joyride through Missouri’s basketball stadium has been made public. It does not disappoint. 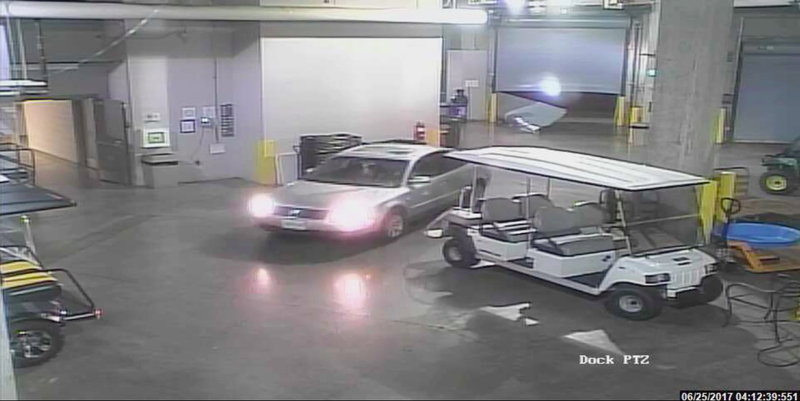 Last June, Nathaniel Conant, a former employee at the university, was arrested for driving his Volkswagen Passat through and around Mizzou Arena, causing $107,000 worth in damages. In addition to busting open a security gate, he left skid marks on the basketball court and roughed up some golf carts. A helpful Deadspin reader pointed out how he managed to get it onto the court, but at the time, with only the physical damage and no video evidence, there were naturally questions about how exactly Conant got the car into the arena. Well, courtesy the Kansas City Star, now there’s an answer. Contant pleaded guilty to two of the property damage charges last Friday and will now serve five years of probation and complete 100 hours of community service. Not a bad rap considering he managed to squeeze in 30 minutes of donuts and gate-busting.